As the Mountain Bike trend is steadily on the rise, more and more consumers are continuing to discover the fun of exploring the trail. Mountain bikes were introduced in the 1980’s and allow you to explore what’s beyond the pavement. 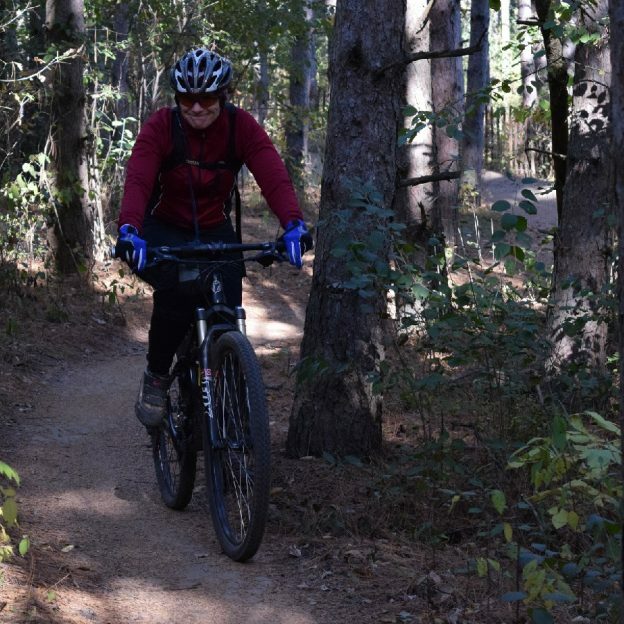 In this picture you can see this mountain biker is enjoying her time out in the woods. See all the places to explore beyond the pavement in the new Minnesota Bike/Hike Guide. This entry was posted in News, Picture of the Day and tagged #beyondthepavement, #bikerchick, #bikergirl, #biketrail, #instabike, #mountainbike, #mountainbikemonday, #mountainbiking, #nextadventure, #nextbikeadventure, #onlyinMN, #picofday, #trail, free bike maps, fun bike experience, Minnesota, Minnesota Bike Guide, MN Bike Guide, MN Bike Maps, MORC on December 12, 2016 by Stephanie Hunt.